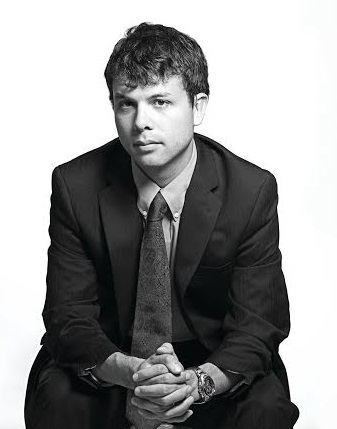 Alan M. Benson is Assistant Professor of Management at the University of Minnesota’s Carlson School of Management. His research tries to uncover best organizational practices from big personnel data, leading him to study a wide variety of industries and organizational dilemmas. He is currently working with a leading sales performance management software company to analyze how firms incentivize and staff salespeople. He has also worked on incentives in factories, staffing at retailers, training at hospitals, dispute resolution in police and firefighters, and other settings, which he applies to his masters and doctoral teaching in human resources and economics. He received his PhD at MIT and his Bachelor’s at Cornell. I don’t know, what do you think? Just joking—I think that the thing that I do best is ask questions and listen. It seems weird, but I’ve found that the first step to discovery is to understand the situation from the ground up. My training gives me certain analytical tools, and I see my role is to apply those where they make the most difference, while letting others’ observations speak for themselves. If the thing I do best is to listen before speaking, then perhaps the thing I do next-best is to apply what I’ve seen. Given that I’ve worked with a lot of companies’ data, I know what patterns to look for, and so what questions to ask next! I’ll have to object to the pretense of that question! However, I strive to always be my best, and to always encourage others around to be their best as well. I’m in a technical field, and there’s always the concern that the technical side passes you by as your career progresses and you focus more on relationships and managing others. I aspire to be capable of leveraging and developing, but also be able to assemble all the parts. Personal: Enjoy life with my wonderful wife and family! Business: It sounds cliché, but I’m a believer in the power of bigger and better data to improve organizations. Companies work on the same problems again and again, and try lots of different things to get those fixed. Now that they’re documenting their experiences on cloud-based personnel software, why not leverage the collective experience of many companies to inform your practices? To the degree that companies can get customized, real-time data straight to the computer screens, we can revolutionize the way companies make sense of their practices. And I think there’s a democratic bent too—rather than getting pre-packaged messages, managers who actually know their organizations will be able to see and act upon that data. I want to be a part of that transition. I have a geeky one: “Don’t select on the dependent variable.” Or in other words, don’t just study what the winners do. You want to know what they do differently from the non-winners, and that means studying what the non-winners do too. Ooh, my family. Gotta say that. They know where I live. Voltage Coffee in Cambridge, MA. Coffee shops in Cambridge are magical places, and that’s the one that happened to be near my old office. Coffee, now that it’s on my mind. Actually yeah. Definitely coffee. Ultimate Frisbee, coffee, and dorky things.